This past Saturday began with another blitz of weekend visitors. Martin was very excited to meet his cousin Marilou and do a FaceTime chat with his other cousin Anne-Marie. Martin is now well ahead of me in FaceTime hours logged. Martin's father is two iPhone models behind the curve now. Perhaps if I can talk to Martin and Elliott about reducing their diaper usage and formula consumption I will be able to upgrade to the iPhone 5 soon. If they love their father they will do this for me. After a visit from our Canadian cousins it was time for Grandpa Butch and Nana STIM to come visit the Wombats. Martin doesn't want his image being sold to News of the World. As a special surprise my parents also brought my first grade teacher over! The boys took to her very well. Are you wondering why my parents would bring my first grade teacher over to visit? Well too bad. I'm not going to tell you why. Each year there are exponentially more pumpkin beers on the market. This year I have already stocked up my cabinets with at least ten or fifteen different varieties being careful not to duplicate any of last year's selections. 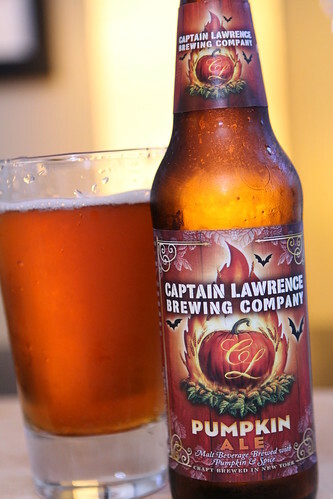 Before dinner we all enjoyed this Pumpkin Ale from Captain Lawrence Brewing Company. This is a beer local to the area, brewed a mere eleven miles from here. It was a good way to ring in the obnoxiously long pumpkin beer season. My mother brought two giant pumpkins stuffed with cornread, sausage, and kale. 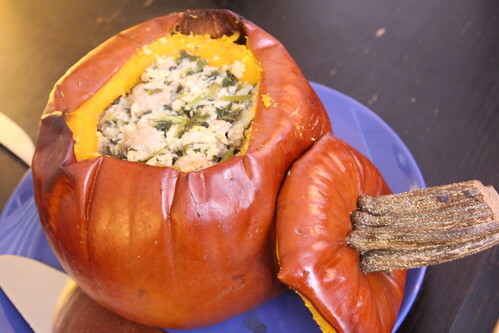 This was her version of my take on her classic stuffed pumpkin recipe. 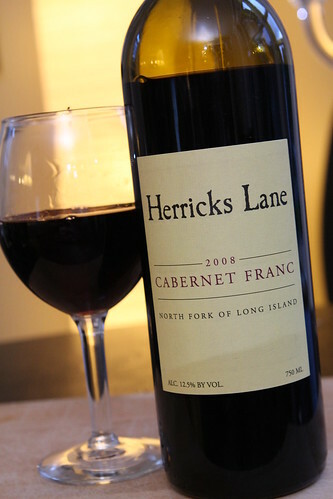 With dinner we had this nice cabernet franc from Herricks Lane on Long Island. 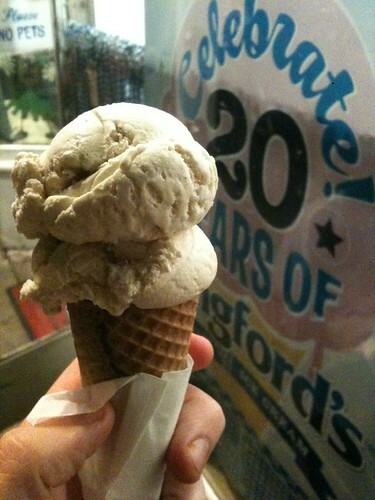 After our guests bid us farewell we headed back to Longford's for a chilly fall ice cream run and celebrated our pumpkin-themed day with their pumpkin pie ice cream. I've had some shabby pumpkin ice creams in my day but this was was excellent, tasting exactly like pumpkin pie in an ice cream cone. After our busy day we settled down for a relaxing evening with the Wombats and started to wish that our building would turn the heat on soon. 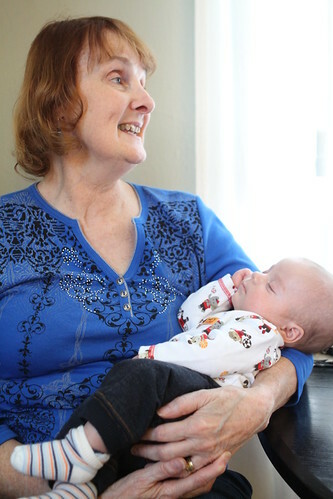 I suppose the chilly weather in our apartment gives us a good reason to have extra snuggles with the babies but it would be very nice if our snuggles were more elective based on our love of family and not so much on a need to survive the harsh New York fall. 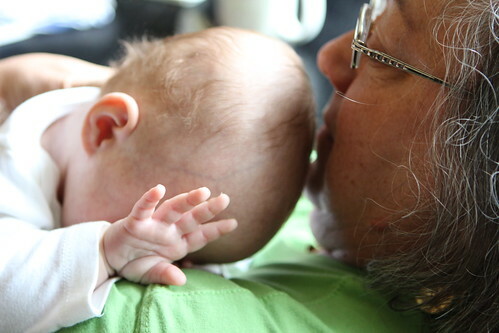 In New York parenting is a game of survival.